The Isles of Collier Preserve is an active lifestyle community located in Naples, Florida. Built by Minto, this community offers excellent single-family and coach homes. A beautiful clubhouse features world-class indoor and outdoor amenities for all residents to enjoy. Situated in sunny Southwest Florida, The Isles of Collier Preserve is surrounded by great recreation and entertainment. The Isles Club is a luxurious clubhouse with a rich lineup of amenities. The Club is a focal point in the community where residents gather with friends and neighbors to play tennis, grab a bite to eat in the Overlook Bar & Grill, or enjoy a swim in the resort-style pool. Those looking to stay in shape also enjoy the walking and biking trails with workout stations along the way. A boat house with a kayak and boat launch is also available for residents looking to enjoy a sunset paddle along Cypress Waterway. The Isles of Collier Preserve was started in 2014 and at completion the community will consist of 1,649 residences. Homebuyers can select between well-built coach and single-family homes offered in a variety of collections. Those looking to downsize might enjoy the villas and coach homes that range in size from 1,565 to 2,960 square feet of living space. These homes offer two or three bedrooms, two or three bathrooms, and an attached two-car garage. Those looking for a single-family home can choose from a wide selection of floor plans. Single-family homes range from 2,016 and 4,327 square feet of living space. These homes all have two to four bedrooms, two to four-and-a-half bathrooms, and an attached two or three-car garage. Almost all floor plans have a den, great for an office or entertainment room. Other features include eat-in kitchens, spacious layouts, elegant master suites, and covered lanais. The Isles of Collier Preserve offers a great lifestyle for all of its residents. Once the clubhouse is completed, residents will be able to gather neighbors to play games or attend one of the community parties on the event lawn. An annual homeowners' association fee will cover the general maintenance of the community grounds and amenities. With so much going on there is sure to be something for everyone at The Isles of Collier Preserve. Situated just four miles from downtown Naples, Florida, The Isles of Collier Preserve is surrounded by great shopping, dining, and hospitals. Downtown Naples offers excellent cultural opportunities with premier boutiques, cafes, and art galleries. Just a few miles from the Gulf of Mexico, residents can plan quick trips to the beach to enjoy the white sand beaches located up and down the Gulf Coast. Golfers will love the numerous public and private golf courses in the area offering play for all skill levels. 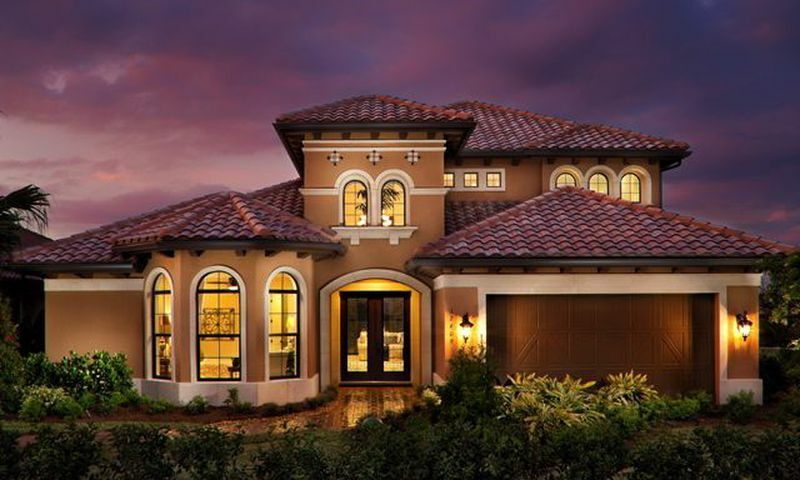 The Isles of Collier Preserve offers well-built homes and resort-style amenities as well as a convenient location that will attract homebuyers to Naples, Florida. There are plenty of activities available in The Isles of Collier Preserve. Here is a sample of some of the clubs, activities and classes offered here. The Buttonwood Collection offers attached villas ranging in size from 1,565 to 1,862 square feet of living space. They have two or three bedrooms, two bathrooms, and an attached two-car garage. The Sabal Collection ranges from 1,621 to 2,169 square feet of living space. Each model offers at least two bedrooms, two bathrooms, and an attached two-car garage. These units are arranged in two-story buildings with two units per building. These models offer the ultimate in low-maintenance living. The Cypress Collection offers attached homes ranging from 1,987 to 2,960 square feet of living space. Models in this collection offer two or three bedrooms, two or three bathrooms, and an attached two-car garage. These low-maintenance coach homes offer great single-floor living with well-designed floor plans. The Palmetto Collection offers single-family models with two or three bedrooms, two to three bathrooms, and an attached two-car garages. They range in size from 2,016 to 2,624 square feet of living space. These models offer great floor plans with screened lanais, dens, and eat-in kitchens. The Mangrove Collection offers eleven models ranging from 2,333 to 4,327 square feet of living space. Single-family homes in this collection have two or three bedrooms, two-and-a-half to three-and-a-half bathrooms, and an attached two or three-car garage. These homes come with great features such as private master suites. The Banyan Collection offers single-family homes ranging in size from 2,741 to 4,037 square feet of living space. They have two to four bedrooms, two-and-a-half to four-and-a-half bathrooms, and attached three-car garages. Some models feature casitas that offer more privacy yet remain close to the home. Every day we enjoy living in this beautiful and safe community. 55places.com is not affiliated with the developer(s) or homeowners association of The Isles of Collier Preserve. The information you submit is distributed to a 55places.com Partner Agent, who is a licensed real estate agent. The information regarding The Isles of Collier Preserve has not been verified or approved by the developer or homeowners association. Please verify all information prior to purchasing. 55places.com is not responsible for any errors regarding the information displayed on this website. This website and the brokerage and/or realty services offered in connection with this site are not affiliated with or endorsed by Minto Communities, LLC or its Affiliates. The Isles of Collier Preserve and logo are trademarks of Minto Communities, LLC and its Affiliates. The Isles of Collier Preserve copyrighted material is the property of Minto Communities, LLC and its Affiliates, and may be used only with prior written permission from Minto Communities, LLC.